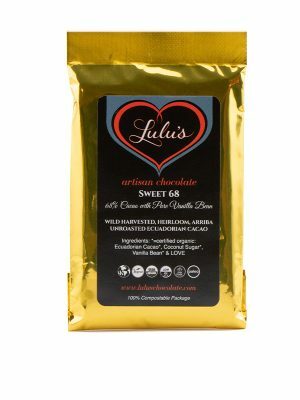 78% cacao hearts cradle a rich, chocolate hazelnut filled center. 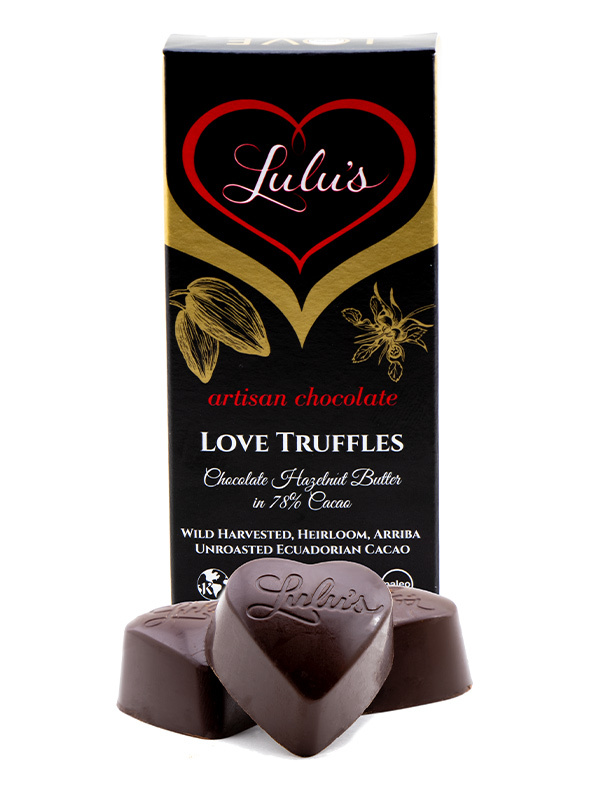 These seductively creamy, hand-poured hearts are lovingly sprinkled with Fleur de Sel sea salt. 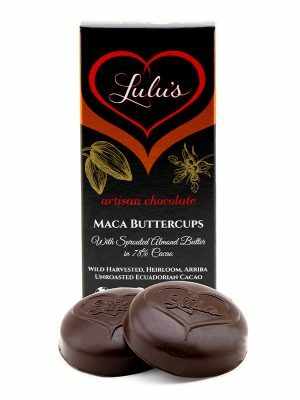 They are sure to win your sweet heart. Featured in Health Magazine & Natural News. 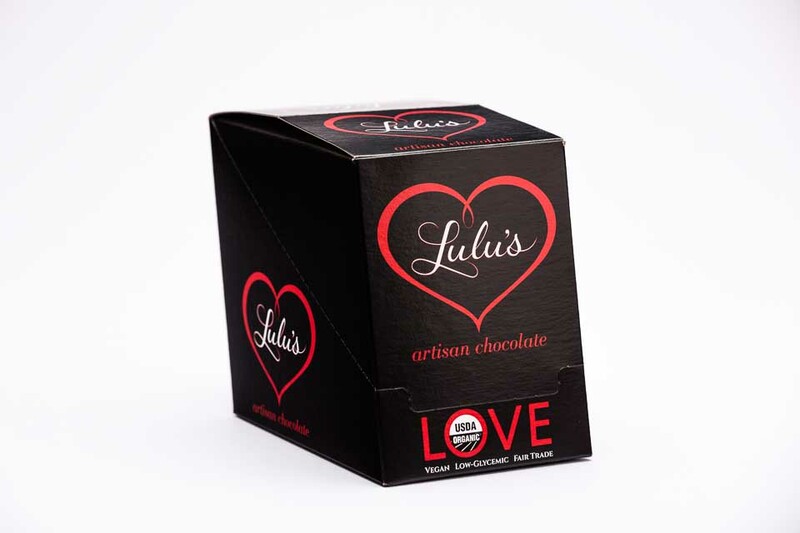 3 Truffles per box. 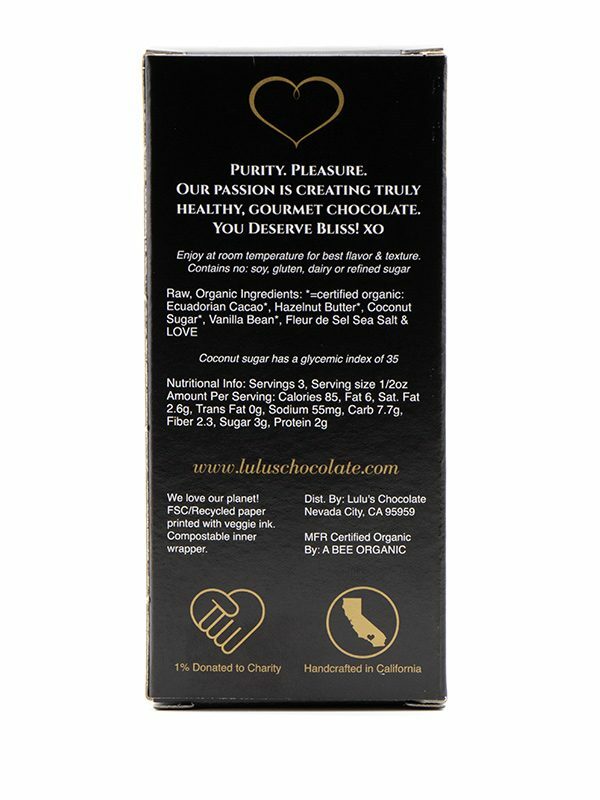 Net wt: 1.5oz Click on second photo for ingredients & nutrition info.